The core of your experience at Exeter is always going to be about academia, but extra-curricular activity is crucial to your personal development and employability. Be More Than Your Degree showcases the incredible depth of ‘extra stuff’ you can get involved with at University, enriching your experience and helping you get the absolute most out of your time at Exeter. From Monday 1 to Friday 5 October in the Forum Street, Streatham Campus, find out how we can help maximise your potential through ‘Making a Difference’, gaining ‘Experience’ and ‘Career Support’. You can speak to the professionals and find out what is on offer and ask all the questions you need to, in order to figure out what to do next. 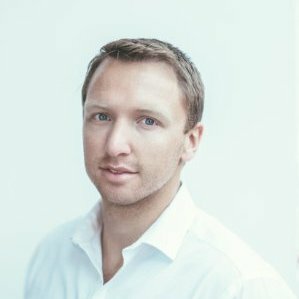 Alex Somervell established his own language learning business ‘One Third Stories’ whilst studying for his degree in International Relations and Languages. One Third Stories uses a concept developed by Alex and his business partner Jonny Pryn known as The Clockwork Methodology® which creates bedtime stories in the form of a book and app that starts in English and ends in a different language by gradually introducing words in the target language, delivered as part of a monthly subscription box. “Think: Try: Do was the first bit of support we received in the form of both mentoring and funding” said Alex. The pair also featured on the TV program Dragons den however declined their backing. Peter Jones valued their business at £300,000 and wanted 20% of their margins. 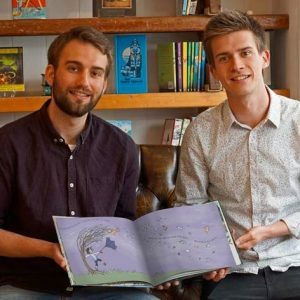 One Third Stories is now worth £2.6 million. After graduating with a First in BA Accounting and Finance, I was invited by the University to stay on for a year to complete a Masters in the same subject and to teach undergraduate accountancy. This meant I could not only get a free Masters degree, but I would also be paid to teach at a University – fantastic at 21 years old! This was an opportunity I therefore enthusiastically took up. However, I had to give up a position in the Corporate Finance team at EY which I had already been offered. This was a decision that I didn’t take lightly but is one I now know was very much the right thing for me to do. At that point I didn’t know if I wanted a career at a big firm, or if I wanted to find my own path; either within smaller companies or my own business. Either way, both degrees would set me up very well for the future. While at University I had also set up my own business developing fitness products. I did this with the help of the University’s Innovation Centre (now Think, Try, Do). The skills I learnt through that process have proved invaluable. I have to admit; I didn’t have the usual University life. The social side didn’t interest me much, and I was more focused on getting ahead in life. That was far more important to me at that stage. Because of this, I was also completing professional qualifications alongside my degree, and before I had finished at Uni, I was qualified as an investment manager with the Chartered Institute for Securities and Investment (CISI), and as a financial adviser with the Chartered Insurance Institute (CII). When I came to finishing the Masters, it had become clear to me that I needed to have full control over my future, and therefore a career at a big firm was not for me. I had a conversation with my father and brother that would change the course of my life. My brother had just come out of PWC as a Chartered Tax Adviser and started working with my father, who had a small accountancy and financial advisory business. We as a family took the decision that my brother would take over the accountancy firm, and I would take over the financial advisory side, allowing my father to step back from the day-to-day business operations, and enable us to inject some fresh energy and ideas into the business. We quickly rebranded the firm, and set-up a law firm to complement our accountancy and financial advisory activities. This was only possible because the rules changed in 2012, allowing non-lawyers to own a law firm. During this time I also obtained regulatory permission for the financial advisory business to manage investments. These two developments allowed us to serve clients internally across a number of areas, which was, and I believe still is, something unique in the UK. The new group is called Prydis. Since 2012, we have grown the business six-fold, with 75 staff and four offices. I have also moved our investment management activities into a separate company, P1 Investment Management. P1 serves not only our clients, but also the clients of other financial advisory firms. Additionally, I have developed a consumer-facing online investment platform, Strawberry Invest, and a new financial advisory offering, Financial Solutions. Life has turned complicated, but exciting and rewarding. I genuinely believe that the base knowledge, skills, and contacts I made at Exeter University were the springboard to all of the things I have gone on to do. When we talk about skills like creative planning, sustainability, project management and corporate social responsibility it’s easy to think that these skills are only needed if you’re starting your own business. However, evidence has proven that this isn’t the case and that more and more market-leading businesses are employing graduates that can demonstrate these skills in the workplace; we call this ‘intrapreneurship’. Tom Crosswell, Enterprise GBP tells us more. The Think, Try, Do programme is there to help you develop these essential skills. Through workshops, guest speakers, panel discussions and more, the programme helps guide you through our three stages: Think – what are these skills and how do we put them into practice within the workplace and outside of it? Try – One to one meetings with advisors to help you develop a start-up idea and competitions that allow you to try out the skills developed in the previous stage. Do – meet other budding entrepreneurs, bespoke in-house business support and access to funding to fuel your start up. Think, Try, Do sessions also count towards your Exeter Award so you really do get the most out of every session. You can find out more about Think, Try, Do and book yourself onto a session by visiting our microsite at http://ex.ac.uk/thinktrydo. This week is Global Entrepreneurship Week, thousands of events and competitions will be run across over one hundred countries, the sheer scale of the week really goes to show just how important these skills are to universities and businesses. Think, Try, Do will be running numerous sessions, workshops and a panel discussion throughout the week and there’s something on offer for everyone. Ever thought about starting your own website? Join us on Tuesday and Wednesday evening when we will be hosting Dan Wiseman of Webwise media, an expert in web design and e-commerce. Want to hear about how entrepreneurial skills have impacted our alumni in their start-up journeys or their work with businesses? Come along to our panel discussion with speakers including General Manager of Deliveroo, Jeremey Rawlinson, Venture Capitalist Richard Blakesley plus more to be confirmed. The talk will be followed by a Q&A and the opportunity to network. You can check out the full list of events by clicking here. The week culminates with the second Exeter Start-up Weekend and Global Battle. Over 54 hours you have the chance to pitch and work on your start-up idea alongside technologists, entrepreneurs, designers, developers and other experts to work on providing real solutions to the world’s problems. There are a wealth of prizes on offer and expert help at hand to make sure that you can make the most of this exciting opportunity. Interested? Click on the here to find out more and book your place. 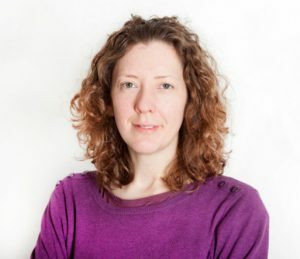 Trina Wallace is a freelance charity copywriter and journalist, and an Exeter alum. Excitement. Fear. Curiosity. Apprehension. These were just some of the feelings I had when I graduated from Exeter University in 2001 with a degree in English studies. My university years were fantastic. I made new friends, gained amazing memories and learnt so much about life. After graduation, I wondered what lay ahead. I knew I wanted to be a journalist, but how would I get there – and what would I write about? More than 15 years on, I work as a freelance journalist and copywriter in the charity sector, which I love. Here are some of the things I’ve learnt in my career since I graduated. Vocational training is fun and makes you stand out. When you’ve finished three or four years of undergraduate study, you might not be up for more education. But if you want to be a journalist, I really recommend doing further training. Journalism is a craft and getting a good grounding in solid journalistic news and feature writing principles is crucial. I did a postgraduate diploma in magazine journalism at Cardiff University, a great course. The training is more practical than academic, so I felt like I was moving forward. If I need help with work these days, I always look for people who have a journalism qualification. Work out what you don’t want to write about. I did some shifts at a popular woman’s weekly which involved interviewing people and telling their ‘real life’ stories. For me, that felt uncomfortable. Vulnerable people were paid to tell their heart-wrenching stories and I didn’t think they were supported enough before or after sharing them. This experience helped me to figure out that I wanted to work in the charity sector. I enjoy interviewing and helping people tell their stories to make change happen. So in the charity sector, I specialise in interviewing the people charities support. Charities need staff who come from outside the sector. It’s lovely working in the charity sector where people really care about what they do. Often, staff move from one charity to another which is brilliant as it means expertise is shared in the sector. But I do think charities benefit from employing staff with experience of the commercial sector because they have a different perspective. Journalists can bring that eye for finding a story to charities which helps them to reach more people. Being your own boss is possible. I have worked as a features writer for business and lifestyle magazines and as an editor for a copywriting agency. At the agency, I was also an account manager for charity clients. It taught me about business as well as writing and helped me to return to the idea I’d had when I was younger about being my own boss. I always admired the freedom my dad had being self-employed, ­yet careers advisers never mentioned the option of being your own boss. But it really is an option and journalism is a perfect freelance career. There are challenges but being your own boss means you get to choose who you work with and when, and you can fit your job around your life rather than the other way around. Journalism is evolving and journalists need to too. Many printed newspapers and magazines have closed which is sad. Now, more people are reading content online. So journalists have to keep their training up to date so they know about everything from search engine optimisation to creating videos. It’s a move to creating content, not just words. If you want to go into journalism, I’d bear this in mind when you’re considering work placements, training and jobs. 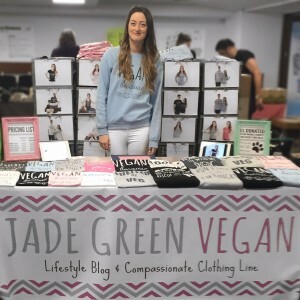 My name’s Jade, and I’m a blogger and clothing line founder at jadegreenvegan.com I studied at Exeter for four years as part of the KPMG School Leaver Programme, and shortly after graduating in 2015 with a first class degree in Accounting, I left my job at KPMG to launch my own clothing line and pursue a career in blogging full time. I’m so grateful for the experience I gained whilst studying at Exeter and working at KPMG, as having a sound knowledge of business and especially accounting has proved immeasurably helpful as a small business owner. Thanks to my degree, I’ve been able to create my own accounting systems, I know how to budget/forecast and I even have the joy of being able to calculate my own taxes! Whilst my accounting degree has undoubtedly provided a great foundation for my career, I knew I didn’t want to follow a ‘traditional’ accounting route after university, as I have always been a very creative person and wanted to pursue a career where I felt I was making a positive change in the world. Working on my blog throughout University meant that by the time I graduated, I had created a platform for myself that allowed me to turn my passion into my career. So, with little to no knowledge of what it entailed to set up an online clothing store or to blog full time, I dove head first into building my business. It was one of the best decisions I have ever made. My blog’s aim is to promote compassionate and sustainable living. I share vegan recipes, healthy living tips, and interviews with influencers in the health/vegan community. 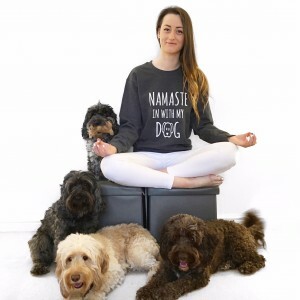 My clothing line, an extension of my blog, is comprised of slogan t-shirts, jumpers and hoodies that also aim to promote compassion and kindness. It is really important to me that I support the incredible animal charities around the world, so for each item I sell, I donate £1 to an animal charity. I sell my clothing both online and at various festivals throughout the UK; and since starting my line in December 2015, have been able to donate just under £200 to two animal charities. Since embarking on this adventure, I have learnt more than I ever could have imagined about: marketing, designing, web developing, photography, branding, and even accounting (after four years of living and breathing accounting I thought there couldn’t possibly be any more to learn – how wrong was I?!) Whilst leaving the security of my job was incredibly terrifying, not to mention running my own business has been undeniably challenging and stressful at times, I absolutely love what I do and have a clear vision of what I want to achieve which makes it all worth it. So, my message to anyone reading this would be to pour your energy into something you’re truly passionate about, even if it’s not the safest or easiest option. Life is too short to spend all day every day doing something that you don’t really love. Think you have what it takes to be an entrepreneur? Speaking from personal experience, it can be difficult to find a job after completing your degree. More and more students don’t want to go down the typical graduate scheme career path but are looking to start their own businesses. Being your own boss, choosing your own working hours and holidays is a very appealing prospect for many. If you have an amazing idea that has potential you can access funds through the Innovation Centre, with awards ranging from £500 up to £5000 to try out your ideas. 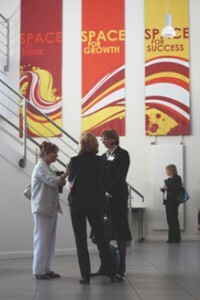 The Innovation Centre can offer advice and support you through your first steps in becoming an entrepreneur. 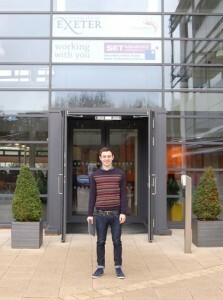 Hello, my name is Matthew Rusk and I am this academic year’s Student Entrepreneur in Residence working with Exeter university students who have business ideas! I started a business while studying history at Exeter (2009 – 2012) and am here to help develop, support and offer advice on your business ideas. 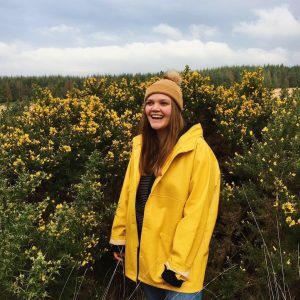 I also work with current students who run businesses turning over thousands of pounds a year while at university – you will find out more about them in my blog! – helping to develop these businesses into the next big thing. I have been asked to write a blog this term so you can find out more about what entrepreneurial Exeter students are getting up to, explain how you can develop your business ideas and let you experience the day to day highs and lows that running my business, MGR Music, brings! Enjoy! Enter the Dragon! This week was all about Doug Richard’s From The Dragon’s Mouth all day workshop held in the Great Hall on the Friday. Packed with out will around 100 students that signed up for the Guild’s lead event for their new entrepreneurial program Ignite Doug’s talk was first class. Taking students through the 10 questions that you need to ask yourself when setting up a business Doug analysed the students business ideas as we went making for an entertaining, if not a little daunting afternoon! 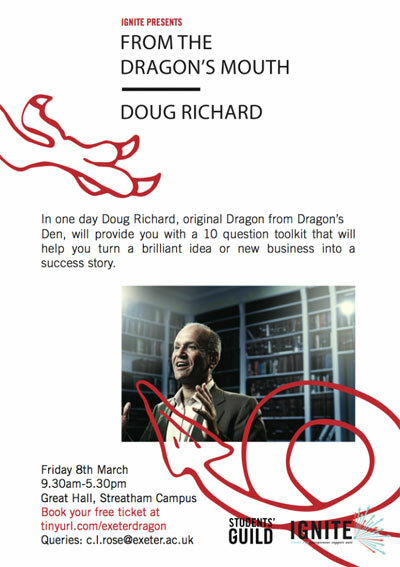 Here are the 10 questions Doug set – can you answer them for your business idea? 1. What do we do that people need or want? Are you solving a problem or addressing a need? 3. How do customers find out about our products? 4. What distribution channels should we consider? 5. How much is it worth to the customer? 6. What pricing model should we choose? 7. What kind of relationship do we want with our customers? This is a key question – multiple shallow relationships or fewer deeper ones? 8. Who are we up against? 9. What do we have in common with our industry? 10. What must we be good at? Is there an absolute key skill or service we must be able to do well in order to succeed? An excellent and opener to the amazing work The Guild will start with student entrepreneurs at the university. I also had the pleasure of meeting Anne Mari Morris, MP for Newton Abbot, to discuss along with 15 other entrepreneurs how the government can aid small businesses and entrepreneurial young people. 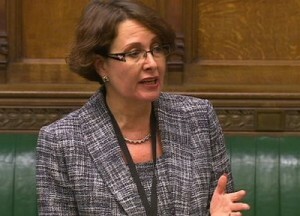 Indeed, Morris is actively interested in small businesses, co-chairing the All-Party Parliamentary Group for Micro Businesses. An excellent chance for Exeter students to engage directly with elected members of the government on a whole range of issues. Arising from the meeting was a unanimous determination to get entrepreneurship to the minds of young people at college, encouraging them to enter university with business ideas rather than waiting to finish their degree to come up with ideas! It was also great to see Ed Vickers of Jollie Goods at the meeting, one of the University of Exeter’s top social entrepreneurs. During his first year biology student Ed set up a “ware a pair, share a pair” social enterprise helping provide socks for homeless people. Having worked in homeless shelters in London Ed realised that foot hygiene was something that was essential for living rough on England’s streets, yet many homeless people used their money to buy food rather than look after their feet. With this as his mission Ed received an Innovation Centre grant to help develop his product, business model and marketing strategy. I am proud to say they are now selling strongly throughout the UK, helping Ed to deliver fresh pairs of socks to homeless people across the nation! 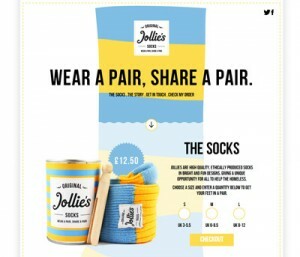 You can purchase your Jollie Socks here!